Care-giving is a role being assumed by many adult children. They provide help, support and well-being to parents or relatives who have health issues. The role requires them to juggle their lives, but the role often provides rich experiences and personal growth. Queen Latifah shares her experience caring for her mother. Queen Latifah is an award-winning actress (currently appearing in the movie Miracles From Heaven), rapper, singer, songwriter and television producer — as well as a family caregiver. I met with her recently to talk about care-giving and her work with the American Heart Association's new Red Steps Challenge to "rise above" heart failure, which afflicts some 6 million Americans. It didn't feel like a typical celebrity interview because we discussed something important we have in common: We are both caregiving daughters. Our mothers live or have lived with heart failure — mine for 24 years until she passed away from other causes, and Latifah's mom, Rita Owens, having the chronic condition for many years. The star's care-giving role came on suddenly about 12 years ago, after her mother, then working as a high school teacher in New Jersey, passed out at school one day and was rushed to the hospital. After many tests, Owens was diagnosed with heart failure — shocking to hear, but her heart improved as she got the care and support she needed. She now manages the condition with medication and a defibrillator implanted in her chest, while maintaining a healthy, veggie-heavy diet. (Owens also battles scleroderma, an autoimmune disease that affects her breathing.) Like many caregivers, Latifah is a busy working woman who travels a lot. She insisted that Owens move to Los Angeles with her so she could better manage her mom's care when she was doing a television show there. Now her mom is feeling better and has moved back to her home in New Jersey. Latifah visits her frequently and remains very involved in her care, even from a distance. As she puts it, "I just start the day with mom and how's she doing: 'Do you need anything? What's going on?' " She also leads a team of family members, close friends and health care providers who support her mom — a role that's earned her the title "the general." She finds the label amusing, she says, because she's not usually the commanding type: "I'm not tough in that sense, but you do have to become stronger." Latifah's eyes sparkle, and she gets emotional when she talks about her mom. They are best friends, she says, and Owens inspires her because she is "so positive and strong, and I've seen her come through some really, really challenging moments. She never ceases to amaze me." She and Owens are working to raise awareness about the signs and symptoms of heart failure and to encourage others to take heart-healthy steps through the Red Steps Challenge — symbolized by red socks. Adult children, who often are elderly themselves; quite often are the caregivers for their parents. This phenomenon is not new to society. Throughout history adults have cared for their elderly or disabled parents. It is also biblical for children to honor their parents; this would especially be true of the aged. Since the 1970’s the graying of America has been taking place at an increasing rate and is expected to continue well into the 21st century. People are living longer and in greater numbers because of the vast improvements in healthcare. As boomers age, the rise in the number of elderly persons in need of medical care will increase as well. Because boomers have had fewer children than the previous generation, their need for caregivers will be greater. Not only will they depend upon what family they have, but in- home technology, will be utilized as well. To remain in their homes electronic monitoring by their physician will be utilized. This will include their vitals, medical equipment, medications and safety issues on an ongoing basis. The only other option to in-home care will be nursing homes or for some, long-term care facilities. After World War II, young people moved from the farm to the city to get jobs to better support themselves and their lifestyle. The federal government assisted in this effort through educational opportunities and affordable housing for those who supplied manpower needed to support the Industrial Revolution. Women for the first time joined the workforce, because they supplied the labor needed while the men were off fighting the war. Families came together to take care of and support each other to make life better for all their members. The Amish and other groups continue in this lifestyle even today. Everyone works together for the good of the family and the elderly are given a place in the adult children’s home so that they too are taken care of. In this country we went through a period of families living in close proximity to each other in nearby neighborhoods. However, that too changed when young people went away from the home they were raised in, to pursue better jobs elsewhere. During this period when there were elderly parents, either theadult children made the needed arrangements to provide care from a distance or the elderly person was placed in a nursing home. The desire of Baby-boomers today, is to keep their elderly family members close. The economic impact on families in recent years has caused us to go back to the ‘old way’ of living. Often times, families move in with parents or vice versus to make life easier for all involved. Adult children caring for parents choose to do so with support among siblings and others. Research has shown that the well-being of the elderly fair far better when they are in familiar surroundings and live with persons they are acquainted with in some manner. Cooperation is better, health issues, daily routines and outings are undertaken more readily because of the presence of trust and care from someone (often their adult children) they know. In my own personal situation I retired from my job to care for my mother who lives with me. We are just starting this journey, but I am doing what I can to educate myself on those points which will make life better for us both. At this juncture we are looking at her limitations and how to help her remain as self-sufficient as possible. While she wants and needs my help, she still wants to feel there are things she can manage herself. It is extremely important that respect and dignity are maintained. Choose your battles (some things are simply not worth the upset they cause). If you are not good at or not getting anywhere at convincing your parent on a particular task that needs to be done, try choosing another way of expressing that request or better still choose another family member to broach the conversation. We all have good and bad days, but it is important to not discuss matters when your parent is upset, tired or not having a good day. We have been fortunate in that my mother and I are able to talk openly about most things and we have tried to tackle things before they become critical. We also have been fortunate in that our conversations and interactions have brought us closer and given me a window to better understand the person she is. The limitations or disability of a 65 year old are far less than that of an 85 year old. Daily needs and attention increases over time for a person with no serious health or mental issues once they reach 70+ years of age. Today, chronic conditions such as hypertension, arthritis, hearing impairments, heart conditions and diabetes are the most prevalent health problems of the elderly according to ERIC/CAPS Digest. It is important for adult children to research housing, medical and relief needs before they are needed. This task should not fall on one person, but should be delegated among those involved. Resources and recommendations need to be numerous and dependable. When services are needed you may not have the energy or the time to find replacements then. Keep notes or recordings on everything since you also may forget from time to time; it cuts down on frustrations. Either way the information will be needed by you for your stand-in to complete tasks when you are not able to be present or perform on your relative’s behalf. Caregivers for seniors are an ever growing group of people. The needs are everywhere. The population around the world more than before is aging. Baby-boomers are choosing for themselves as well as their parents or loved ones to be cared for at home, in familiar surroundings, rather than an institution or nursing home. Home care requires, especially for the elderly, that the caregiver and loved one develop and maintain that bond of love and respect for each other. This is needed as much as possible to complete the tasks necessary for the care of the loved one in the course of the day. There may be many challenges and struggles that must be faced, but they can be achieved if the caregiver works to be creative, resourceful and caring for the loved one and themselves. Research shows that individuals who cannot care for themselves alone, fair far better in familiar surroundings. Home care is deemed to be better for the elderly because change often times creates stress for all involved. Other reasons for this are it helps the loved one to feel in better control of their environment, as well as familiar faces of family and friends help them to feel loved and cared for. In spite of efforts by caring staff in institutions, some elders simply lose the willingness to thrive. 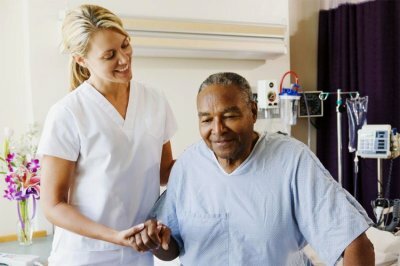 In a home situation where an elderly person has difficulty or is unable to take care of themselves there should be a caregiver to provide primary support, whether on a full or part-time basis. Caregiver duties can range from daily hygiene, food preparation and feeding, doctor’s appointments, grocery shopping, handling of business affairs, companionship and arranging for needed services for that person in the home. Caregivers for seniors often are faced with situations which can be challenging and rewarding at the same time for themselves and the loved one. The caregiver should exemplify empathy, show love and provide reassurance towards the loved one. It should be noted that in many cases there is a role reversal; the child becomes the parent and the parent becomes the child. This takes place when there is trust and an acknowledgement by the parent that they can no longer do for themselves alone. According to Gerontology reports, more than 19% of baby boomers are presently caring for their aging parents. During this time of caring it can bring you closer together, help you to better understand the personality or behavior of your loved one, reveal information about their past and/or family issues which impacted their lives. Quite often adult children have certain expectations in terms of activities they feel their parents should be doing. However, it is important to consult with your parent and doctor because they may not care to do these things based upon their physical,emotional or mental state. Should there not be a problem, rather than telling them what to do you might simply introduce the activity and encourage them to take part, or leave the item out for them, to see if they will try later. Emotions and physical ailments can alter attitudes. Being gentle and not allowing yourself to take things personally will better serve caregivers for seniors in home senior care. Do not allow yourself nor your loved one to make decisions once either of you has become tired or aggravated. Put the matter off until another time or simply change the subject. It is not worth it to risk getting upset or additional stress. Renewing one’s patience and coping mechanism to meet the needs of another person is a challenge which caregivers for seniors must frequently face. Remember why you are doing this, because you care and there is a need. Shock and Mobilization: who do you call and where do you start? New Normal: the realization comes upon you, you have a new role; life won’t be the same. The Boomerang: life seemingly has settled in and out of nowhere a new crisis appears. Playing God: you’ve gotten the hang of things and feel you are the only one who can meet and understand their needs. I Can’t Do This Anymore: you’ve given so much, but you are fatigued and worn out. Circle of Care: a support group of friends or family who will help with some of the responsibilities of care. Coming Back: you come to realize your loved one is not going to get well. You start the slow separation process. You also start taking inventory of yourself. The Long Goodbye: you have that conversation about their wishes for their final chapter. Afterlife of the Caregiver: it’s over; where or what do you do with your life now? However, you go through this journey of care giving, you will grow as a person. Understand also, that we as human beings are inter- connected; and at some point someone has or will likewise care for you. Congress is preparing to review the Credit for Caring Act (S.1151/H.R.2505) which provides for a federal tax credit up to $3,000 to offset the expenses of caring for a loved one as the caregiver remains employed. The Act will allow, working caregivers for seniors, the opportunity to better afford adult daycare, respite care, home care, home modifications or other support services needed to care for their loved one. Contact your elected representatives by phone or email and tell them this Bill (Credit for Caring Act - S.1151/H.R.2505) is needed by families who care for the elderly. You may contact AARP for your representative's contact information and assistance.